Can you show me how to play Eye of the Tiger? Can you show me how to play Eye of the Tiger from Rocky 3? The question came yet again, this time from a seven year old whose parents weren't even born when the film first showed. If I had $5 for every time I had been asked that question, I would be nicely set up now. Anyway, however old the Rocky films may be and however 1980s the song, it remains a firm favorite and the power of that first riff is a classic. So this page will tell you a simple way to play Eye of the Tiger and show you some more advanced versions of the song if you like. 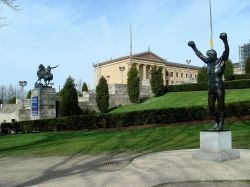 The front of the Philadelphia Museum of Art, including the famous "Rocky Steps", as well as the Rocky Statue. Well, the original song The Eye of the Tiger by Survivor was in F# minor which is not an easy chord to simplify for beginners, so this version will be in B minor. 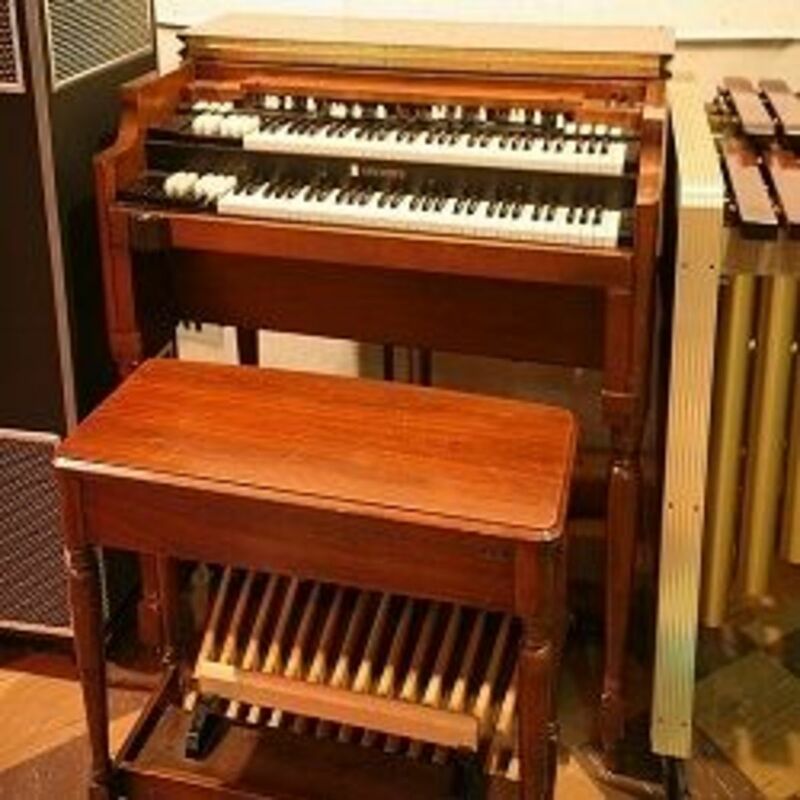 That is the key I used to play it in with my band too, for vocal purposes. It works and there is nothing wrong with changing keys unless you are desperate to play along with the film or the CD. Singers and musicians do it all the time. Sounds silly, I know, but it works well with the actual rhythm! It is a good idea to play the single note version with just the index finger on the fretting hand until you have memorised the order and the feel of the moves, then add the other fingers and move the power chord. Focus on the index finger being in the right place and also on the correct spacing. The proper way to play a power chord is with fingers 1, 3 and 4 on your fret hand. Do NOT be tempted to play power chords with fingers 1, 2 and 3. 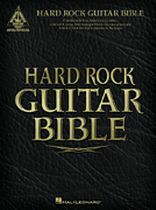 Firstly playing like that will hamper you learning proper barre chords later (Check out power chords and barre chords here), and secondly (far more important) it will strain your fingers over time and may result in repetitive strain injury or Carpal Tunnel Syndrome which can stop you playing permanently! 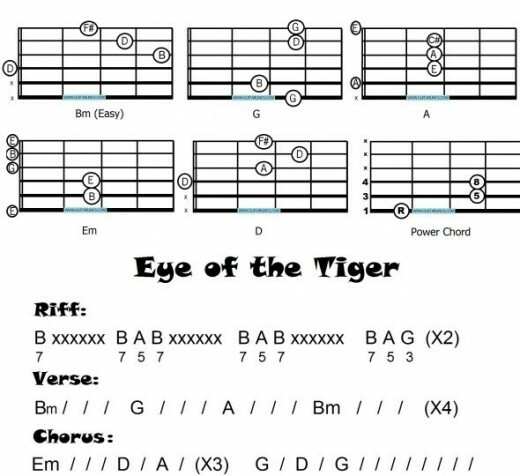 Here are the easy chords for the Eye of the Tiger. I have given a four string version of Bm to avoid the necessity of a barre chord. The Eye of the Tiger is such an amazing song that it has been arranged for many groups. Here is a selection of some of the arrangements available. Flexi-band means you can miss out some of the instruments and it still works! Schaum Pop Favorites just had to include Eye of the Tiger amongst others! If you want to play it with Concert Band, here is the score and parts! Follow this link through to see just how many versions there are of this great song. 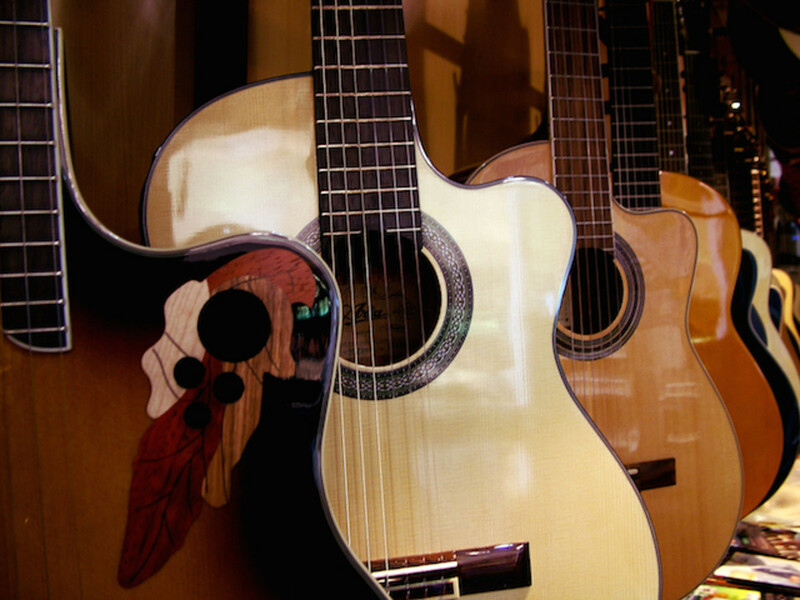 While you are learning the chords, simply strum down once on the letter, then once each on the slash lines. The 37 rock songs include some personal favorites of mine: Ballroom Blitz, Bang a Gong (Get It On), Living After Midnight, Rock You like a Hurricane, School's Out, War Pigs, Welcome to the Jungle, You Give Love a Bad Name and of course the Eye of the Tiger! Can you play Eye of the Tiger - Has this page showed you how to play Eye of the Tiger? I am going to send this link to this page to my daughter as she wants to learn the guitar, She has one but does not use it often. @Musicalcroc LM: Thanks, I think this is a bug however as they were showing fine last night on Chrome. Very interesting lens. However, some of the images are not showing (in how to play the riff and how to play the chords sections). Could you please re-upload them again?